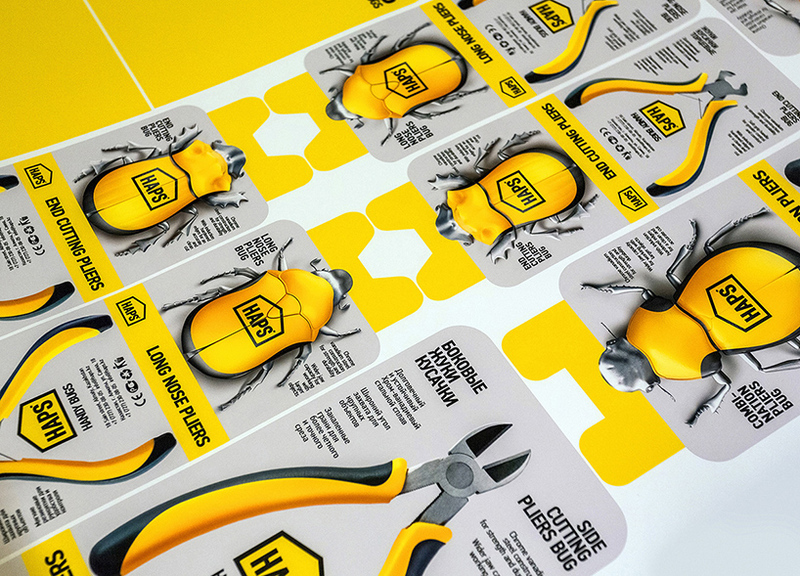 igor mitin has thought of a novel way for hardware store HAPS to reward their customers. 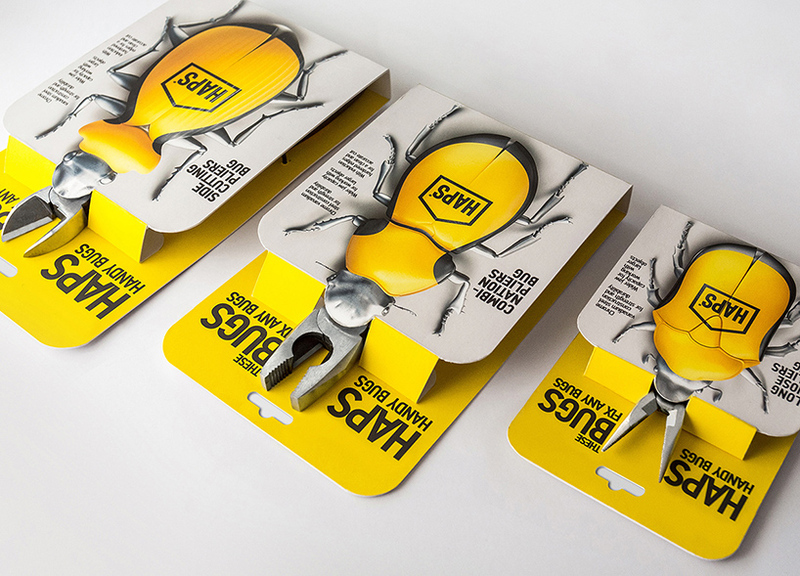 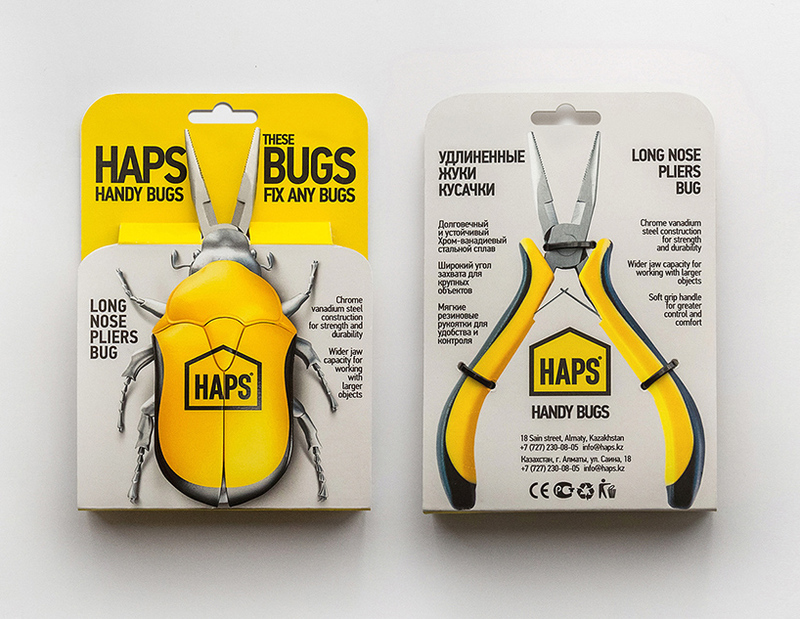 noting the similarity between a plier’s handles and the body of a giant beetle, the melbourne based designer has shared his conceptual packaging that transforms each separate tool into its own breed of creepy crawly. 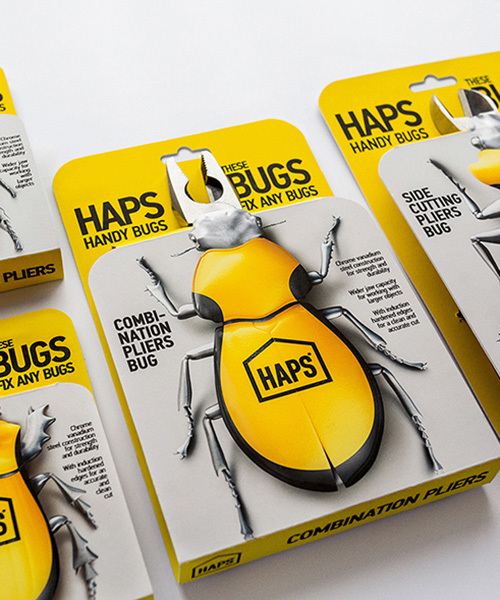 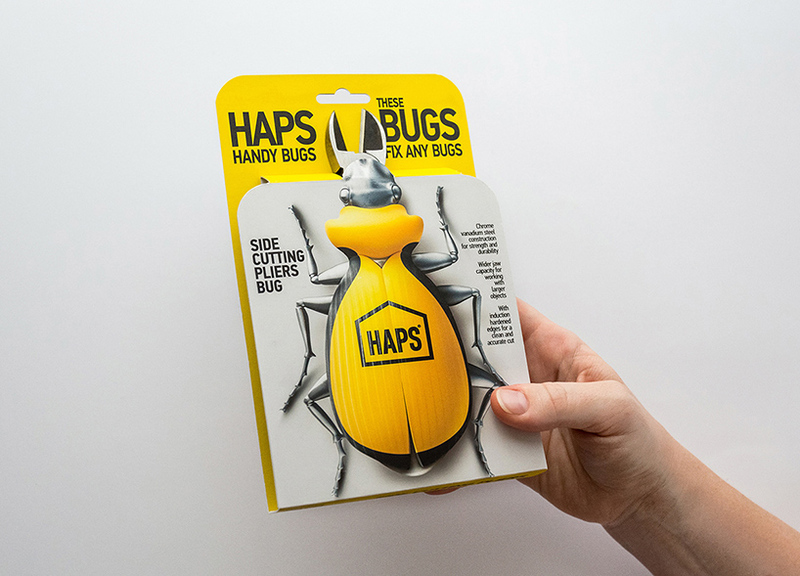 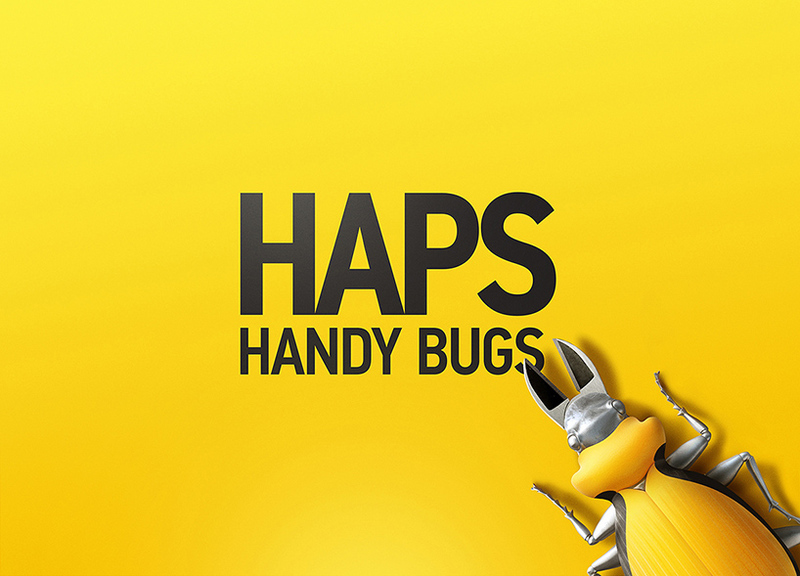 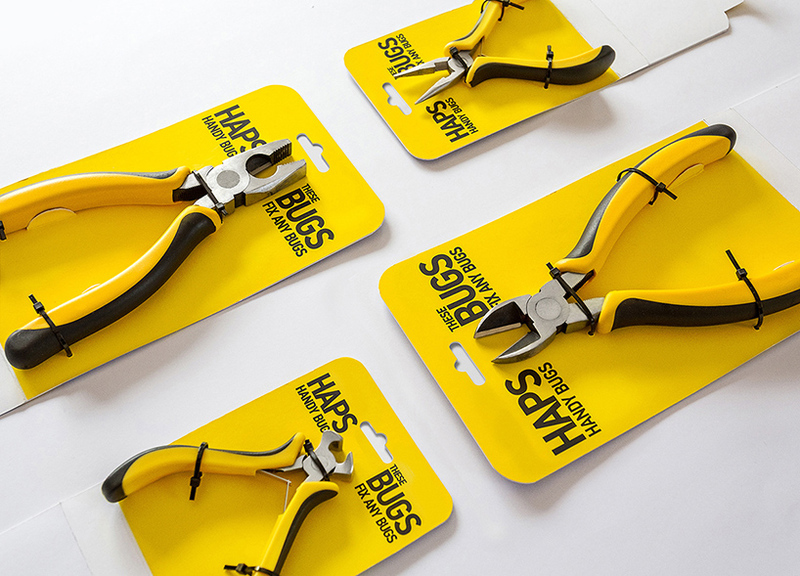 called the ‘HAPS HANDY BUGS’, the designs are intended to be gifted to customers as a small but useful way of saying thanks — a tool the individual can use again and again. 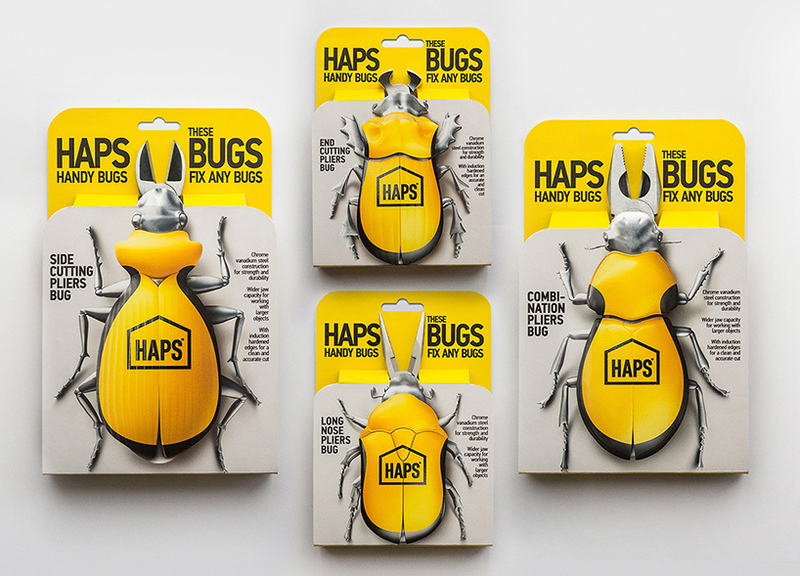 keen to dissolve the appearance of the packaging, igor mitin’s concept hides the HAPS branding in plain sight, incorporating it into the colour palette of the beetle’s shell. 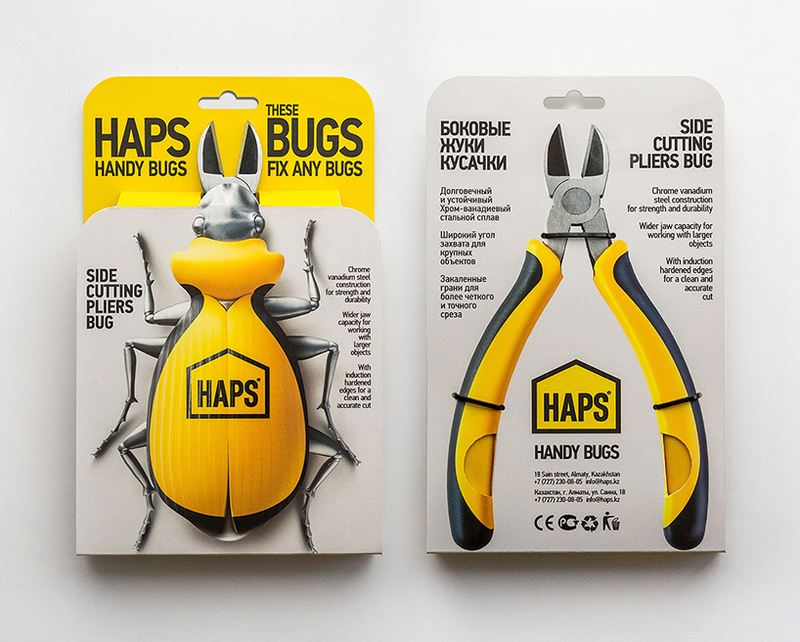 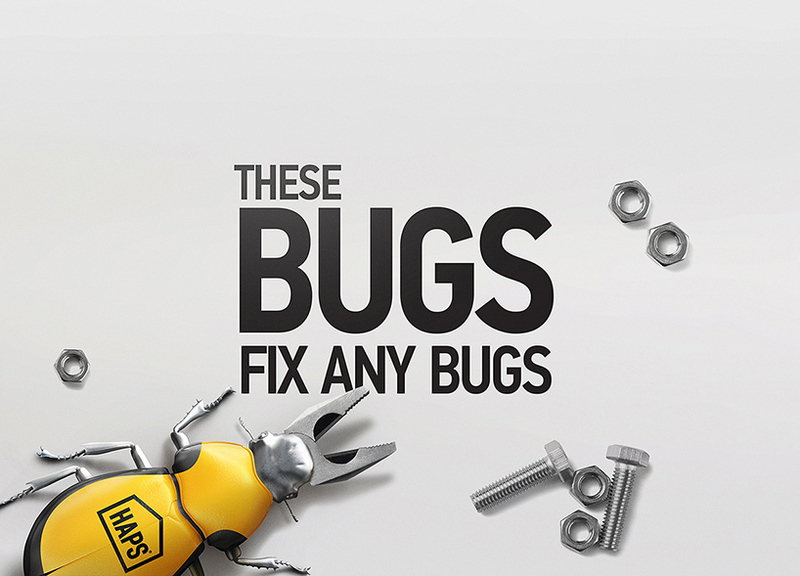 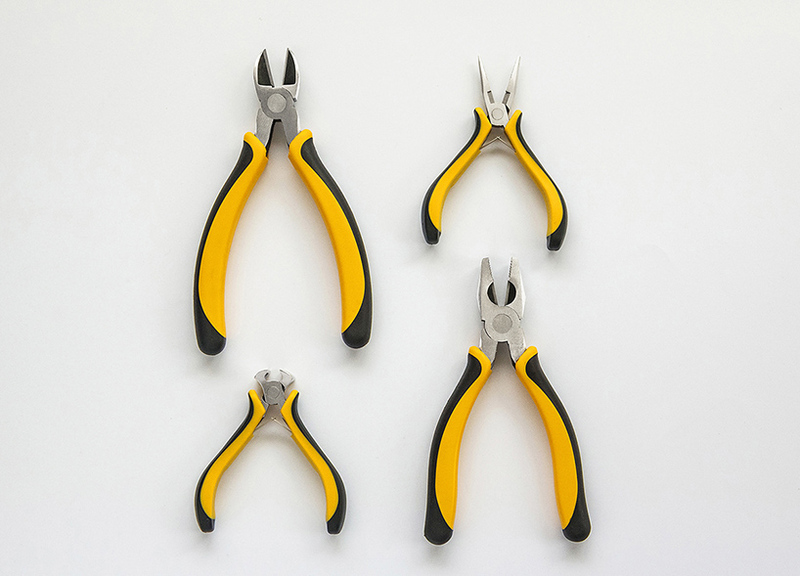 while the handles curve to form the outline of the bug’s body, the plier heads become jaws and rigid shards become sharp teeth. 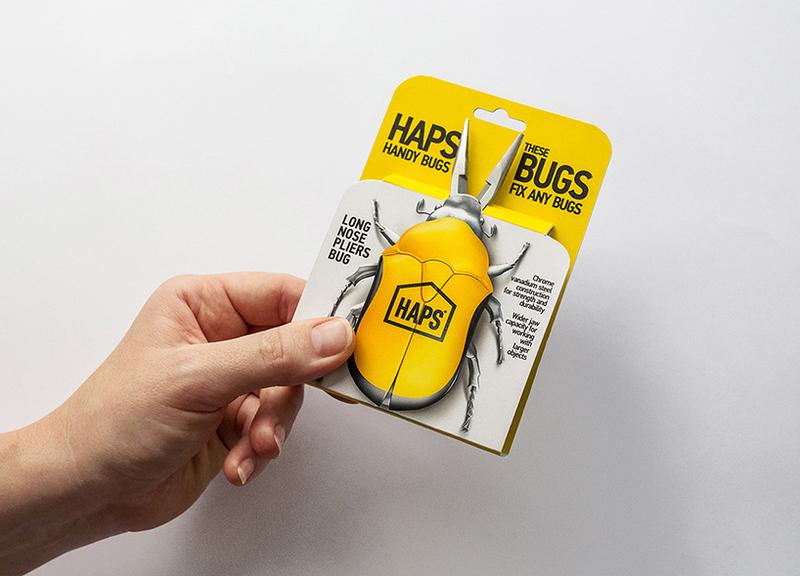 the bold black and yellow colouring of the HAPS brand both makes logical sense for a jungle beetle, and creates a feeling of cohesion across the handy bugs set.